After leaving Philadelphia last night, I woke up on my USAir flight this morning over Portugal and admired the plains of Castilla Leon before touching down at Barajas International Airport. What a joy to be back in Spain! Back during my first trip to Europe, Barajas was where I earned my first passport stamp. 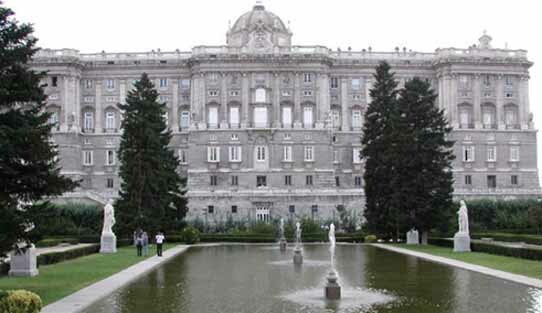 I lived with a Spanish family here while studying in the Estudio Internacional Sampere language school in Madrid. To this day, Madrid is a place I hold close to my heart. After going through Spanish customs and collecting my luggage, I took the old 89 bus route to Plaza Colón. I admired the monument to Cristobal Colon and the peaceful waterfalls underneath the monument with the stone engrave maps of the two hemispheres. I then traveled to Chamartin station to leave my luggage at the train station so I could explore the city. Afterwards, I took the metro and walked south down the Paseo de la Castellana and past the Biblioteca Nacional to the beautiful Plaza de Cibeles and imposing Palacio de Communicaciones building. Then I walked east on the Calle de Alcala to the Plaza de la Independencia and strolled though leafy and peaceful Parque Retiro. After having some chocolate gelato, I took the metro to the Palacio Real where I walked through the Jardines del Campo del Moro and drew some sketches of the palace. I spent a relaxing afternoon in the gardens before taking the metro from nearby Opera station (next to the Teatro Real) to Puerto del Sol, Spain’s version of Times Square and Piccadilly Circus. 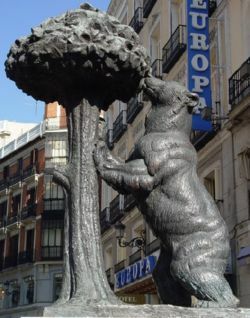 I walked past the bear statue and city hall on my way to the world’s largest flea market – The Rostro, which was the first time I visited the Sunday market. A lot of junk, but a lot of neat stuff too. 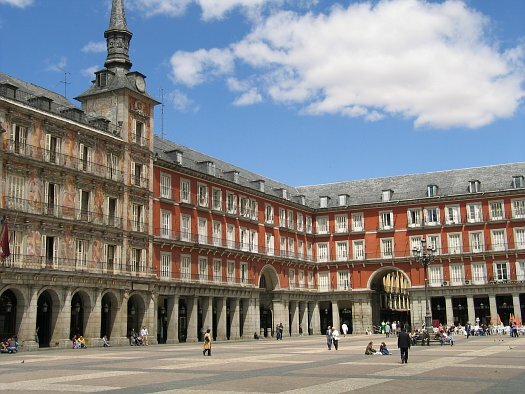 Afterwards, I walked to the Plaza Mayor where I relaxed in the Plaza, drew some more and had chocolate y churros. I ate some tapas nearby – pork, marriscos, camarones, before taking the metro to Chamartin. There I picked up my luggage before boarding my RENFE TrenHotel “Talgo” service for the northwestern city of A Coruña, located in the Galicia region. At 22:30 we pulled out of the station. I had a private room with a sink and admired the nighttime countryside before falling asleep near the lights of Zamora to the rhythm of the rails.